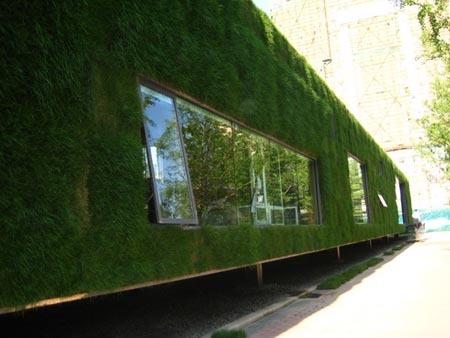 The “greenhouse” was built by Mr. Huang, a farmer in a small village in Hunan Province, China. 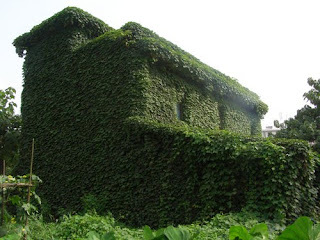 12 years ago, he planted several creepers around his house without realizing that it would cover the whole building one day. Now, the “greenhouse” can not only adjust the temperature and prevent water seepage, but also save energy, because he needn’t use air conditioner any more. This picture shows a famous grass house in Beijing, China. It is designed by Mr. Gong Dong, a young architect who graduated from School of Architecture, Tsinghua University, China and then went to graduate school at University of Illinois, U.S. His initial intention was to build a temporary office for his company but now it has become a excellent example of sustainable development and energy conservation.